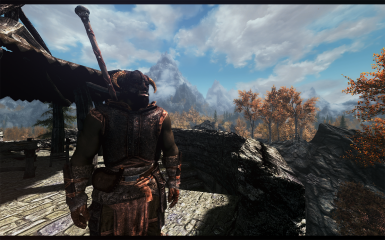 As always, screencaps are auto approved, so feel free to spam your caps/height comparisons/cool characters using this mod. Love looking through them. Grabbed this right before starting my current play through for my Bosmer. LOVE IT! Thank you so much. 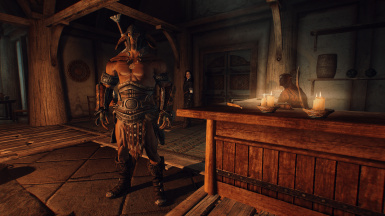 I'd add a picture of my little badass spear weilding Bosmer, but I have no idea how. Needless to say its awesome to see his tiny self butchering great big, burly orcs and dragons. Thought you should know how awesome you are for doing this. Keep up the amazing work for all of us who are CK challeged to the handicapped level. Wish i`d seen this before starting my new game. No matter, installing ahyway and will restart if I must. Thankyou for this. 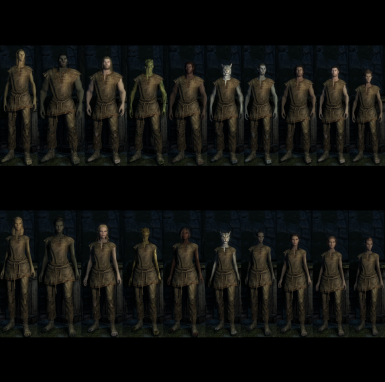 I hate how everyone in games these days is being made the exact same height, especially in gender when we all know people are different and the genders are sexually dimorphic. This mod is the ONLY one I`ve seen use the words. I doubt most people even know what it means, even though it`s infront of our faces every day! The mod is compatible with the form of Lord Vampire? 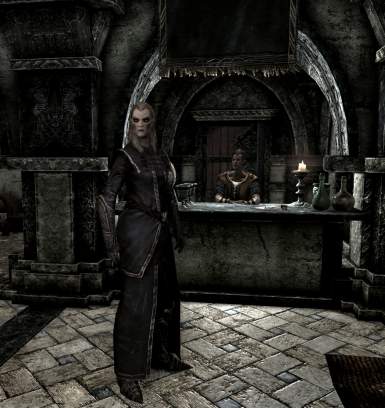 Is that in dawnguard, I have a khajit and when I return to my normal form. It looks like the pj grows to the normal height that comes by default in the game. is this compatible with Digitigrade Beast Races for Skyrim SE by THusky? if not, is there any chance you could make a patch for it? Anyone know if this is compatible with CBBE or UNPB, or anything like that? Possibly with BBP? It says it’s compatible with XPMSE SSE. My computer is... prone to tantrums... so I’d rather not just slap stuff on and see what happens. Create a backup save just in case it isn't, install the mod and then find out. If it isn't, uninstall it and go to the back up. If it is, have fun! This mod is the bees-knees, man. It provides just the artistic stylings that help cement a fantasy world visually. Scary orcs. 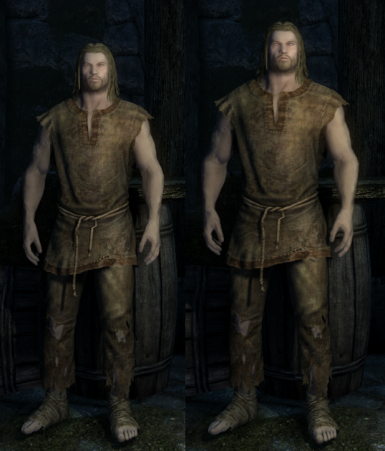 Nords that make a whee-little mage like me feel like a milk drinker. I love it. Thank you. I believe I was seeing that shorter races ran slower. Is that just me or is it actually affecting the speed (and by proxy, attack power etc.) 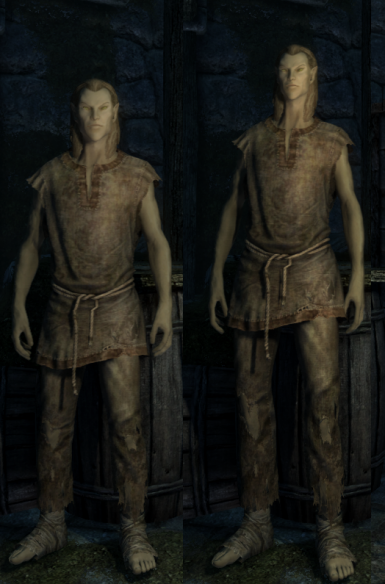 of shorter races? There's a patch for Imperious; can you make a patch for Morningstar? Or does Morningstar need a patch? That's the only thing keeping me from using this mod until the day I die! 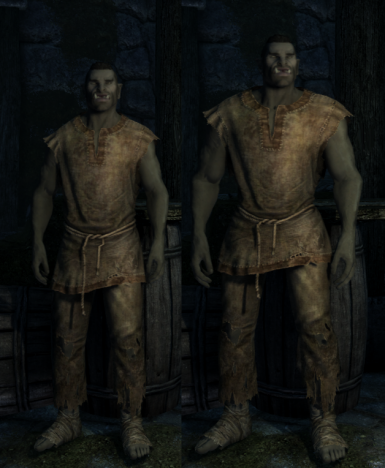 how do I correct the first person height for each race as the camera is always at the wrong height?